Classic lines evoke great moments and performances from the silver screen, and many have found their way into everyday usage. But who said what to whom, and in what film was it said? 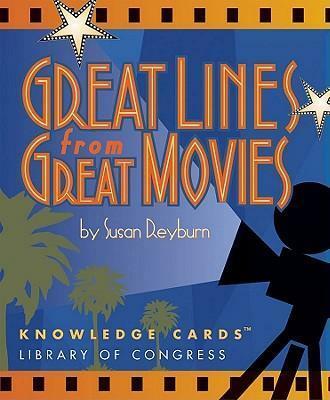 This deck of Knowledge Cards features a memorable line from each of 48 movies, with related information and piquant trivia; the cards can be read just for pleasure, or they can form the basis for a game that tests its players knowledge of historic films.